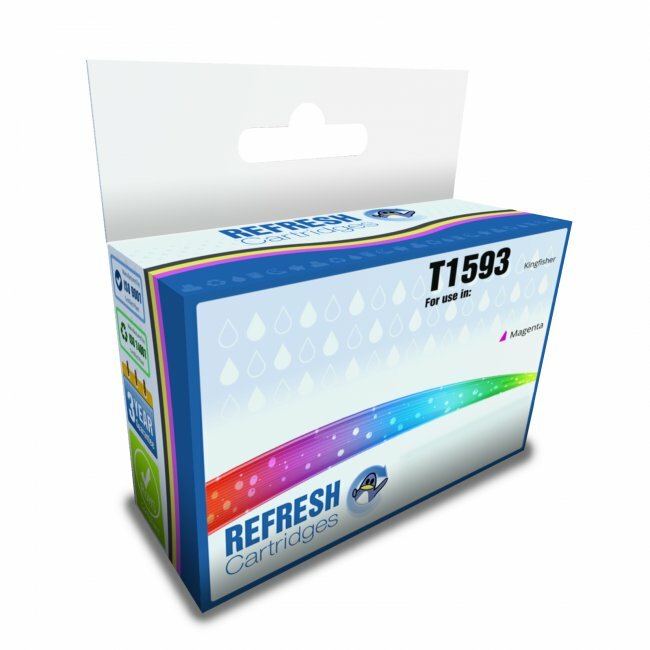 Our alternative to the original Epson C13T15934010 not only contains the same amount of ink as the original, but maintains the same estimated page yield too. 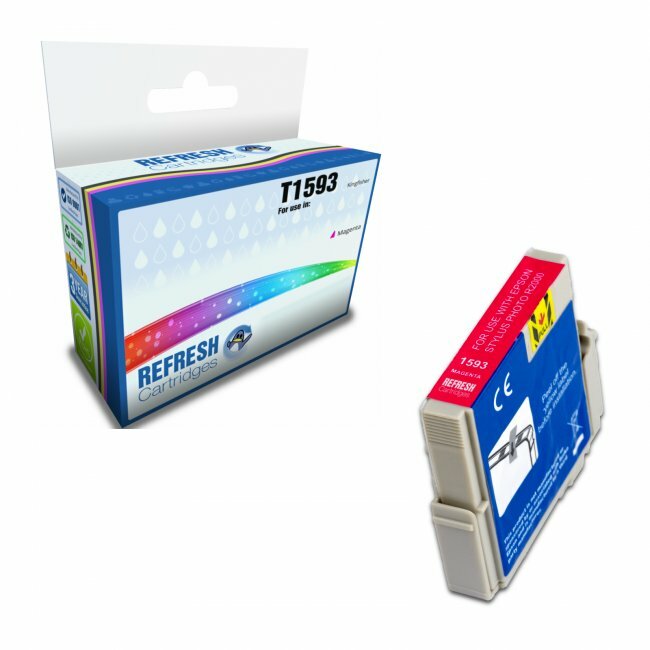 The specially formulated ink found within this remanufactured Epson T1593 ink cartridge has been specially formulated to offer an exceptional quality of print. 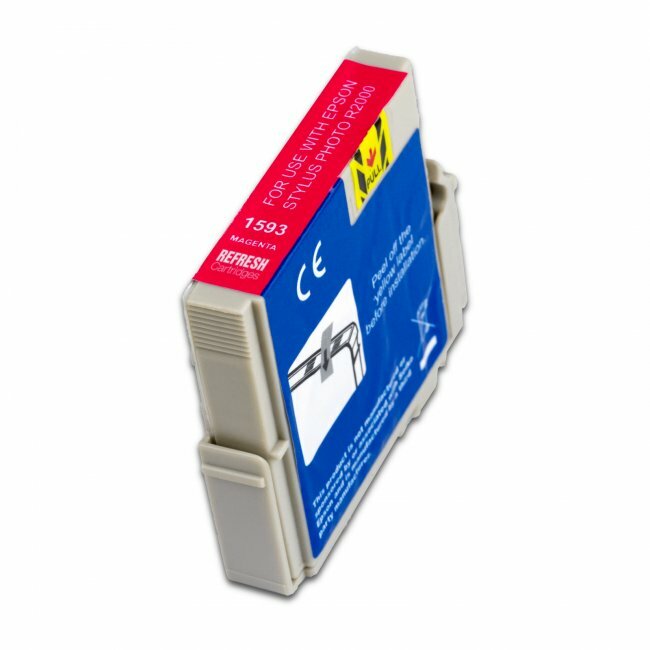 You will find this remanufactured C13T15934010 to be compatible with the Epson Stylus Photo R2000 mentioned on this page. This remanufactured magenta alternative comes with our 100% satisfaction guarantee for the initial life of the cartridge.